First published in 1985, this collection of essays deals with processes of population movement and how they have operated over time. It is also about people: Melanesian's who number some five million and inhabit the region stretching from the Indonesian province of Irian Jaya to the Independent State of Fiji. Standard work on Movement in third world societies has emphasized migration, involving a shift in residence from one domicile to another, at the expense of the interchange of people between diverse places and different circumstances. Many moves, as from villages and towns, are circulatory: they begin at, go away from, but ultimately end in the same dwelling place and community. This book focuses on the full range of territorial mobility, especially circulation, and its meanings for the people involved. This volume brings together indigenous scholars, foreign field researchers, and international authorities from many of the social sciences: anthropology, demography, economics, geography and sociology. It presents a set of multicultural statements about the mobility of particular peoples within a region of the third world. 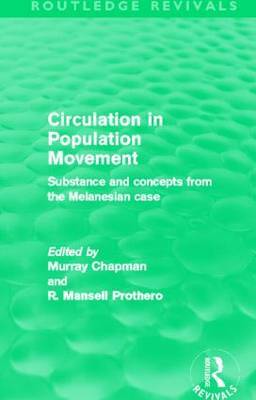 This collection about specifically Melanesian issues aims to stimulate broader visions among population scholars, and it underlines the pressing need for more theoretical and empirical work on a volatile, yet neglected, category of population movement.